Beautiful and like new home ready for you in Brighton Crossing! This newer built home has 4 bedrooms and 2 baths with just over 2000 sq ft above ground. It has an open floor plan with a beautiful kitchen that is designed to entertain. It has all stainless-steel appliances with granite counters. The eating space off the kitchen flows right out to the stunning covered deck. Spend endless summer nights relaxing under the bamboo covered ceilings and ceiling fans. Well maintained yard comes complete with sprinkler system and utility shed. Radon Mitigation System installed. New Roof to be installed. Several community parks in walking distance. Community offers many amenities including a Rec Center, Pool, Beach Club and Splash Pads. 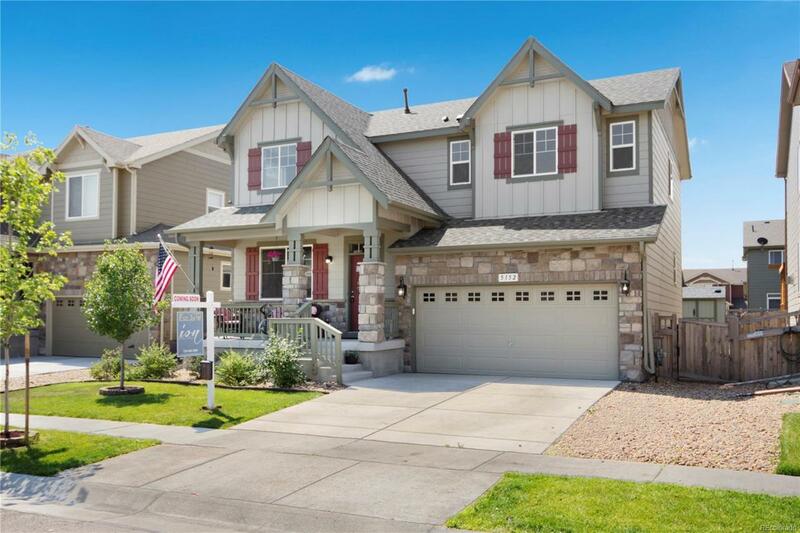 Parks Easy access to I-76, DIA and Downtown Denver and close to Barr Lake. Come see it today! Association Name Primary Brighton Crossing Master Assoc.